Niantic today announced Pokémon Go Valentine’s Day event. Valentine’s Day-themed event for trainers kicking off today through next week. With Valentine’s Day just around the corner, we couldn’t think of a sweeter time to double the amount of Candy you’ll earn every time you catch, hatch, and transfer Pokémon. Your Buddy Pokémon is also getting into the Valentine’s Day spirit and will find Candy twice as fast! 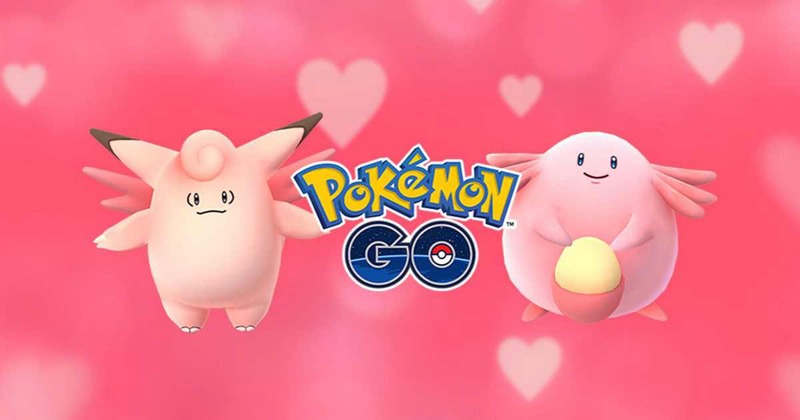 Throughout the celebration, you’ll notice that Chansey, Clefable, and many other adorable pink Pokémon will be encountered more frequently in the wild. Cleffa, Igglybuff, and Smoochum will also be more likely to hatch from Eggs. And to help you paint your town pink this Valentine’s Day, Lure Modules will last for six hours for the entire duration of the event. Pokémon Go’s latest in-app event kicks off today at 11 am PST/2 pm EST and runs through the same time on February 15, the day after Valentine’s Day.